This spring, say goodbye to frost and hello to frosting with delicious desserts. Transform your traditional Easter celebration into an even sweeter experience with creative treats the whole family will enjoy baking and indulging in together. Duncan Hines® helps you create delicious family moments with decadent recipes even the tiniest pair of hands in your family can help make. Baking at home with family creates unforgettable moments and fills the holidays with that priceless feeling of togetherness. These versatile recipes are perfect for your Easter breakfasts, brunches, or desserts and enable you to entertain on a shoestring. Store-bought sweets can be expensive, and economic times call for easy and budget-friendly ideas. Below are some particularly indulgent recipes that are sure to bring Easter cheer to the table. 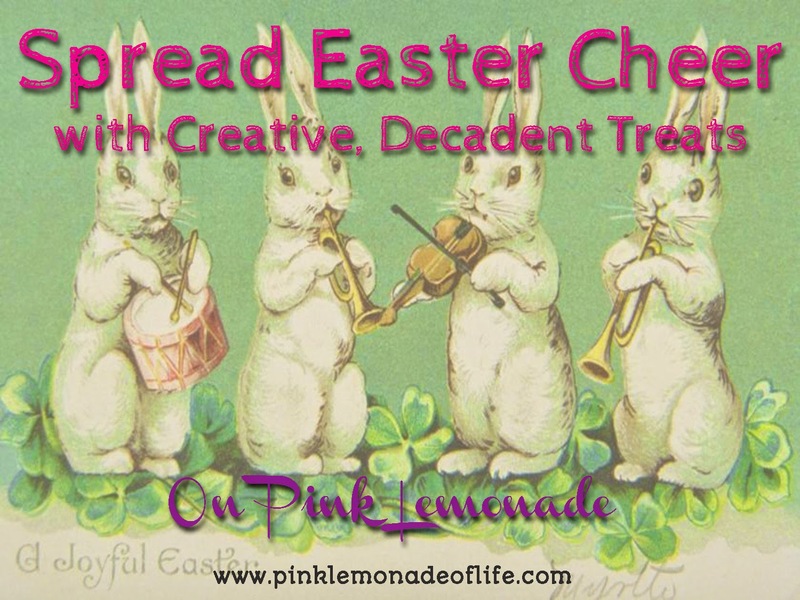 Easter project to make with the kids or with your baking friends. All it takes are easy-to-find ingredients, fun food dye colors and delicious frosting. Easter Egg Cupcakes aren't hard to make -- but they’re sure to impress as gifts, or to decorate your holiday table. A scrumptious Carrot Cake Cheesecake with the added sweetness of pineapple frosting. 1. Soak carrots and raisins in 1 cup HOT tap water, allow to stand for 5 mins. Drain and squeeze out excess water from carrots and raisins. 2. In mixing bowl add dry mix, 2 eggs, 1/4 cup oil. Add well drained carrots, raisins and pineapple. Add coconut and walnuts. Mix well by hand. Spread 2 cups of carrot cake on bottom of a greased 9-9 1/2" springform pan. Reserve remaining carrot cake. 3. In large bowl beat cream cheese, sugar and vanilla until smooth. Beat in eggs. 4. 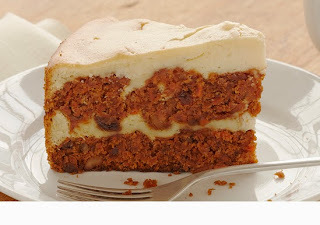 Spread 1/2 of the cheesecake batter on top of the carrot cake. Spoon on remaining carrot cake and top with remaining cheese cake batter. Do not marble with knife. 5. Bake in a 350° preheated oven for 50-60 mins or until cake is set and cooked through. 6. Cool to room temperature. When cake is cooled frost with Pineapple Cream Cheese frosting. Or top with Duncan Hines Cream Cheese Frosting. Refrigerate for 3 hours and serve chilled. 7. Beat Cream cheese, butter, vanilla, and pineapple juice until smooth. Beat in powder sugar until smooth. Frost top of cheesecake. 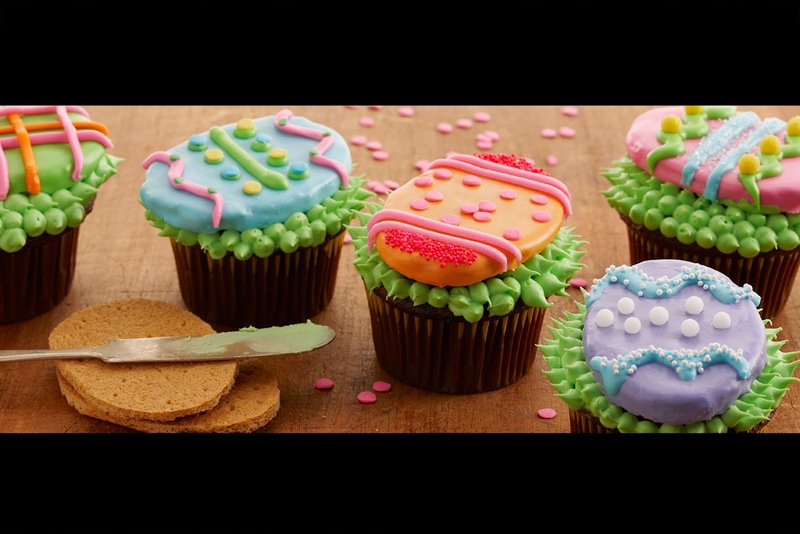 For some togetherness, get the kids to help create the candy creatures that sit atop these yummy Captivating Caterpillar Cupcakes, made with Duncan Hines Classic White Cake Mix. 1. Preheat oven to 350 ºF. Grease muffin pans or line with paper baking cups. 2. Combine cake mix, egg whites, water and oil in large bowl. Beat at low speed with electric mixer until moistened. Beat at medium speed 2 minutes. Fold in 1/3 cup star decors. Fill muffin cups about 2/3 full. 3. Bake at 350 ºF. 18 to 23 minutes or until toothpick inserted into center comes out clean. Cool in pans 5 minutes. Remove to cooling racks. Cool completely. 4. Tint vanilla frosting with green food coloring. Frost one cupcake. Sprinkle 1/2 teaspoon chocolate cookie crumbs on frosting. Arrange 4 candy-coated chocolate pieces to form caterpillar body. Place jelly bean at one end to form head. Attach remaining star and nonpareil decors with dots of frosting to form eyes. Repeat with remaining cupcakes. Hints of sweet, flakey coconut in both the Duncan Hines Classic White Cake and the Creamy Home-Style Classic Vanilla Frosting give this Coconut Cream Cake recipe a tropical flair. 1. Preheat oven to 350°F. Grease and flour two 9-inch round cake pans. 2. For cake, combine cake mix, pudding mix, eggs, water and oil in large bowl. Beat at low speed with electric mixer until moistened. Beat at medium speed for 2 minutes. Stir in 1/3 cup coconut. Divide into pans. 3. Bake at 350°F for 32 to 37 minutes or until toothpick inserted in center comes out clean. Cool following package directions. 4. Fill and frost cake. Sprinkle with remaining coconut. Refrigerate until ready to serve. Crumble Top Carrot Raisin Muffins feature delicious Duncan Hines Moist Deluxe Decadent Carrot Cake and raisin flavors combined with a sophisticated -- but easy -- crumble top. Add carrot/ raisin pouch to the 1 cup of water and allow to stand for minimum of 5 minutes. In a mixing bowl, add the cake mix, flour, baking powder, eggs, oil, drained pineapple and the carrot/raisin/water mixture. Mix by hand until completely blended, approximately 50 strokes. Pour batter into greased or paper lined muffin tins 2/3rds full. 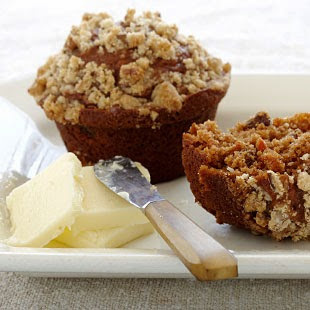 Make crumble topping following directions below and sprinkle on top of each muffin. Bake muffins for 20-22 minutes or until tops springs back when lightly touched. Cool for 15 minutes in pans on wire rack, then remove from pan and cool completely on rack. In a bowl, combine flour, brown sugar, butter and pecans (if desired) mixing until crumbly. Use as indicated above. For a different flavor replace pineapple with white chocolate chips or semi-sweet chocolate chips. For more recipes, log onto www.duncanhines.com.